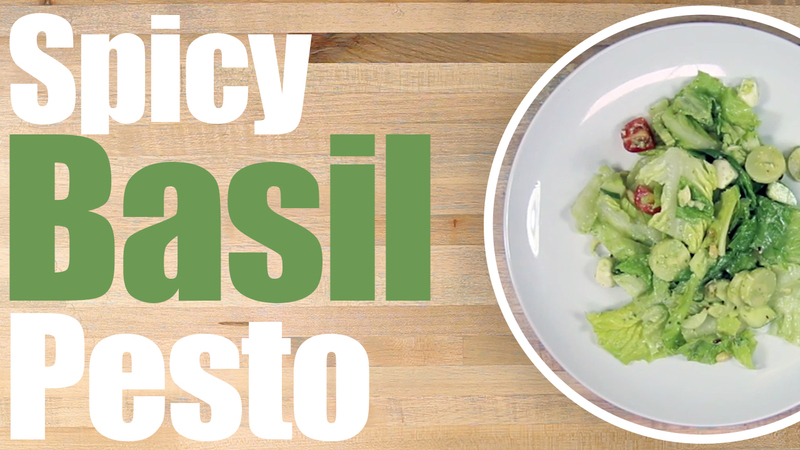 Learn how to make our quick and easy Spicy Basil Pesto sauce recipe!! This tasted so good and anyone can make it! With a few simple ingredients you can learn how to make this fragrant and flavorful sauce recipe too! We used the Spicy Basil Pesto to top a salad here, but you can use it to make a pesto pizza or a simple pesto sauce for pasta! !